Today’s STATurday is about looking for a job. 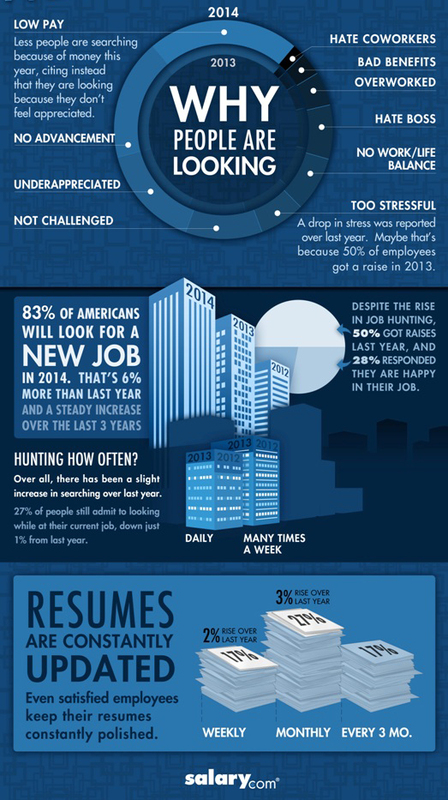 This is from a survey of over 1200 people about their plans for looking for a new job. The biggest surprise is how often people keep their résumé up to date. If you haven’t switched jobs in a few years, do you really need to make updates every week? For the full article, visit Fast Company.